02:38 — Doctor Who: Jenna Coleman to depart. 04:58 — Torchwood: Big Finish already plan a second series of audios. 06:59 — Marvel TV: Jessica Jones dated by Netflix. 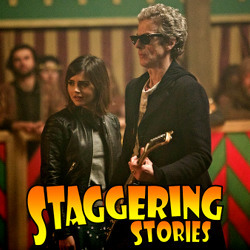 09:30 – Doctor Who: The Magician’s Apprentice. 52:30 – Farewell for this podcast! 54:19 — End theme, disclaimer, copyright, etc. Wikipedia: Jessica Jones (TV series). Wikipedia: The Magician’s Apprentice (Doctor Who). BBC: Doctor Who – The Magician’s Apprentice. Long Island Who, Doctor Who convention. Adam J Purcell, Andy Simpkins and Keith Dunn sit down, caged, in front of Primeval series two, episode seven and spout our usual nonsense! 02:52 — Doctor Who: The Underwater Menace DVD unleashed. 04:58 — Galaxy Quest: The TV series. 07:03 — RTD: Use’s Doctor Who team for his A Midsummer Night’s Dream. 09:48 — Gobsmack Comics: Local pop-up comic shop opens. 10:30 — Barrowman: Plays TARDIS dress up. 11:41 – Whooverville 7: convention report. 21:43 – Game: Cheddar Gorge. 25:10 – Doctor Who: Our hopes for the 2015 series. 34:30 – Buffy the Vampire Slayer. 50:48 – Farewell for this podcast! 51:53 — End theme, disclaimer, copyright, etc. Wikipedia: A Midsummer Night’s Dream. Wikipedia: Buffy the Vampire Slayer. 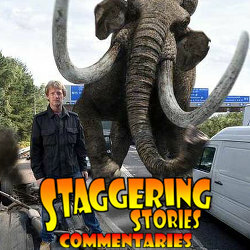 Adam J Purcell, Andy Simpkins and Keith Dunn sit down, jammed, in front of Primeval series two, episode six and spout our usual nonsense!